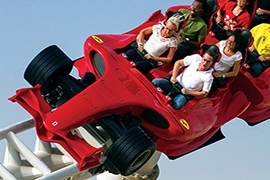 Get amused by visiting the Ferrari theme park located in the capital of UAE. It has breathtaking rides which will fill your day with joy with its different rides based on Ferrari theme and thrilling fastest roller coaster ride which adds to your excitement making it a onetime experience. Make your way to Legoland Water Park at Dubai Parks and Resorts independently or choose ticket with roundtrip transfers to enjoy a totally hassle-free pick up from your hotel or preferred spot in Dubai. With your ticket, you can access all of its 20 plus rides, slides and attractions. For added fun and entertainment, you can upgrade your Legoland Water Park with other theme park options such as Legoland Dubai, Motiongate Dubai, and Bollywood Parks Dubai. Arabian Adventure with Rayna Tours is handpicked especially for visitors looking to indulge in a side of Dubai that only few get to discover and experience! 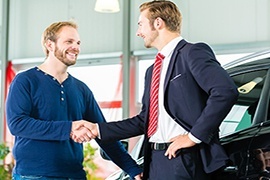 It provides 5 nights stay and covers classic tours that showcase you the best of Dubai with the right measure of adventure, fun and sightseeing along with a 4G SIM Card pick up when you are at the airport to stay connected with your family and friends. Give a thrilling start to your Dubai holidays with a Yellow Boat ride and then a desert safari inclusive of quad biking, apart from dune bash in a 4X4 vehicle, camel ride, BBQ dinner, and a slew of cultural activities and traditional performances like belly dance and Tanura show. 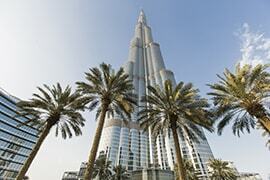 Dubai presents opulence and style in many guises, and Burj Khalifa is justifiably the most striking in this regard. Enjoy our signature Burj Khalifa tour which not only lets you experience the world’s tallest building up close but also immerse in the glitz and glamor of Dubai from an unbeatable vantage point at its observation deck on 124th floor. To feel the real pulse and flavor of Dubai, we’ll take you on an atmospheric dinner cruise onboard our traditional wooden dhow. Relish a multi-course scrumptious buffet dinner, as you glide down the historic Dubai Creek lined with a mix of modern and traditional attractions. For adrenaline-junkies and thrill aficionados, the star highlight is an excursion to Ferrari World Theme Park. Located about two hours from Dubai, this first-of-its-kind theme park on Abu Dhabi’s Yas Island has several rides, such as the world’s fastest roller coaster ride, to ensure you an action-packed day. Most of all, you’ll get to soak up the magical water park experience in Legoland Water Park during your six nights Dubai vacation. Speak to our holiday specialists to perfectly plan your classic Arabian Adventure which is sure to go well beyond your expectations. I was on the lookout for a Dubai tour package that would appeal to me and my wife as well as our teenage children. We hit a jackpot with this tour package. It was perfect. While we enjoyed the city tour and dhow cruise, they loved the Ferrari World and Legoland Water Park. But all of us loved the desert safari and the Burj Khalifa tour. 10 on 10 for this tour package!! Wow, what a holiday! We had so much fun every day! Right from the desert safari to the Ferrari World theme park, there was never a dull moment. And the dhow cruise dinner gave us the chance to relax for a little time. All other arrangements including accommodation and transportation were worth the money we paid. A must-take Arabian adventure for all! The Arabian adventure tour package from Rayna Tours was a mind-blowing experience. We had a hearty ride in the Love Boat and gorged on the sights of Palm Jumeirah, Dubai Marina, Royal Mirage hotel, Burj Al Arab and Atlantis. 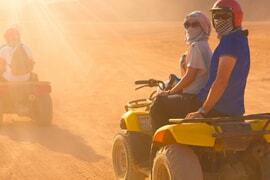 After joyful of ride, we got engaged with Quad biking on one of the prettiest sand dunes of Dubai. It was a thrilling and most interesting experience of a life-time. Later on we spent quality time on some of the best safari camp greeted by entertainment and Delicious BBQ dinner. Then I went to Burj Kalifa and took the world’s fastest elevator to view Dubai from 124th floor. I enjoyed the 360 degree view of the city from the observation Deck. The Ferrari World theme park was full of excitement, engaging and amazing experience to one and all. I also hopped onto a Hot Air Balloon and got the real meaning of bird's eye view. It was a stirring experience to watch desert oasis and sand dunes from the Hajar mountain. Truly an amazing and endless experience. 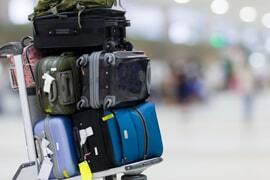 I strongly recommend this package as a -must try for all travelers.